1. En campo de plata, un castillo en su color, ardiendo, que es de ARENAS DE SAN PEDRO. 2. Escudo cuartelado: 1.º y 4.,º en campo de plata, una corneja en su color terrasado de sinople, y 2.º y 3.º, en campo de oro, dos árboles en su color, terrasados de sinople, que es de PIEDRAHITA. 3. En campo de azur, un caballero sobre un caballo sin bridas ni silla, ambos de plata, saliendo de un castillo, en su color, que es de AREVALO. 4. En campo de azur, una cebra en su .color, terrasada de sinople, que es de CEBREROS. 5. En campo de azur, un puente de tres ojos en su color sobre ondas de agua de azur y plata; en el arco del centro, una barca en su color, surmontada de una cruz de plata, que es de BARCO DE AVILA. En Escusón: en campo de gules, la catedral de Avila en plata, y en el cimborrio de la misma, el Rey Don Alfonso, con corona, espada y cetro, todo del mismo metal. En punta, en letras de sable, la leyenda: -AVILA DEL REY-, que es el de AVILA CAPITAL. Note that "corneja" in Q2 translates as crow/rook, which the heraldic artist seems never to have seen in real life. 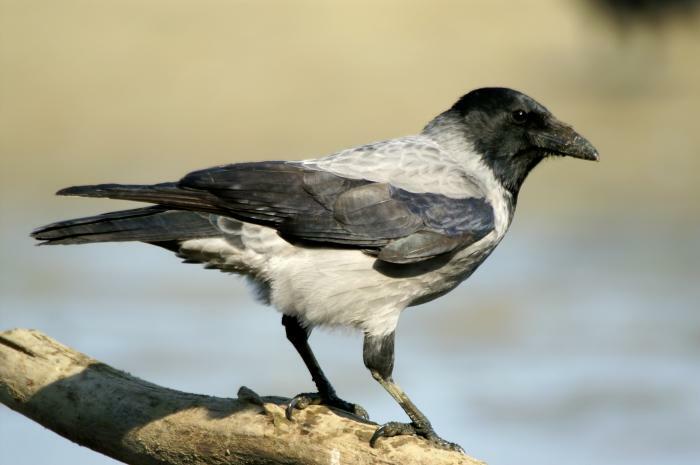 Possibly intended to be hooded crows (Corvus cornix). There are probably half a dozen of these intelligent birds within 500 metres of me as I type. Do they have yellow legs)? No. Do they have short yellow beaks? No. Do they have white heads and bodies? No. I can only conclude that while It is indeed conceivable that the intention was to depict a hooded crow, no-one not in urgent need of an opthalmologist would identify a hooded crow from the bird depicted in the CoA. Incidentally, I did not mention the canting zebra (cebra in Spanish) of the town of Cebreros. Not many other zebras in European heraldry, possibly none. Can anyone come up with another? The Vuelta comes to an end in Madrid tomorrow. But today the riders set off from one of the most famous small communities in Spain, San Lorenzo de El Escorial, where Rey Felipe II (Philip II) had the monastery called El Escorial built, and lived and worked for most of his latter years. Partido y medio cortado. Primero, de plata, parrilla de sable. Segundo, armas de la casa de Austria. Tercero, armas de la casa de Borbón. Al timbre, Corona Real cerrada. The parrilla or grill apparently depicts a torture instrument on which Christians were martyred. Given that the Spanish kings controlled the inquisition and the autos da fé one has to wonder which Christian martyrs were intended, not I suspect the hundreds of Lutherans of Valladolid and Seville condemned to burn between 1558 and 1562. The gridiron is specifically the iconographic attribute of St. Lawrence, a Roman deacon martyred in 258, to whom the great monastery of El Escorial is dedicated. He is traditionally said to have been killed by roasting over a fire. The stars are I believe supposed to represent the Great Bear (Ursus Major) constellation, which was featured on the body of the bear in the original arms of Madrid.